Excellent $1 Historical Romance Deal! *The Tender And The Savage (The Historical Romance Collection Book 5) (Deal, Not Free) by Fancy DeWitt. Price: $0.99. Genre: Adult Western Historical Romance Deal of the Day, Sponsor, 18+ Romance. Rated: 5 stars on 1 Reviews. 252 pages. ASIN: B01ICTA924. 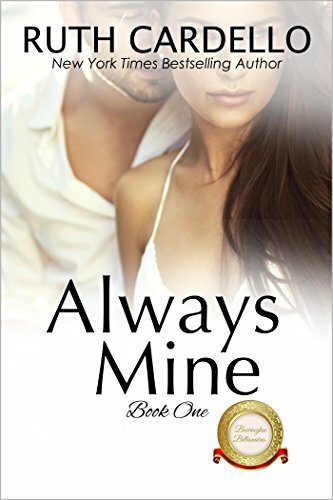 ***Always Mine (The Barrington Billionaires, Book 1) by Ruth Cardello. Price: Free. Genre: Steamy Romance of the Day, Sponsor, NY Times Bestselling Author, Contemporary Romance, Romantic Comedy. Rated: 4.9 stars on 90 Reviews. 220 pages. ASIN: B013GZOXPS. NY Times Bestselling Author Ruth Cardello. ***Her Vigilant SEAL by Caitlyn O’Leary. Price: Free. Genre: Military Steamy Romance, Suspense, Romantic Suspense. Rated: 4.5 stars on 99 Reviews. 231 pages. ASIN: B0143OT3J2. *To Be King by Lara Blunte. Price: Free. Genre: Medieval Steamy Romance. Rated: 4.9 stars on 27 Reviews. 213 pages. ASIN: B01D3HQZC8. *Bang: Challenge Accepted by M. Dauphin H.Q. Frost. Price: Free. Genre: Steamy Romance Comedy, Humorous. Rated: 4.8 stars on 20 Reviews. 350 pages. ASIN: B012HZYUHE. *Dissever (Discern Saga(Book #3) by Samantha Shakespeare. Price: Free. Genre: Paranormal Steamy Romance, Vampires, Angels. Rated: 4.5 stars on 10 Reviews. 305 pages. ASIN: B00931LLVE. Moments Of Devotion (The Moments Series, Book 2) by Melanie Brandon. Price: Free. Genre: Contemporary Steamy Romance, Romantic Comedy. Rated: 4.3 stars on 19 Reviews. 457 pages. ASIN: B01GU4XXGW. 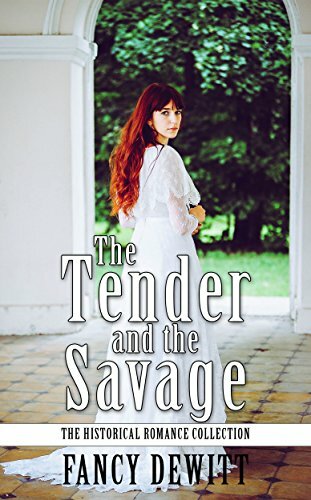 *The Tender And The Savage (The Historical Romance Collection Book 5) (Deal, Not Free) by Fancy DeWitt. Price: $0.99. Genre: Steamy Western Historical Romance Deal of the Day, Sponsor, Romantic Erotica, Historical Romance. Rated: 5 stars on 1 Reviews. 252 pages. ASIN: B01ICTA924. 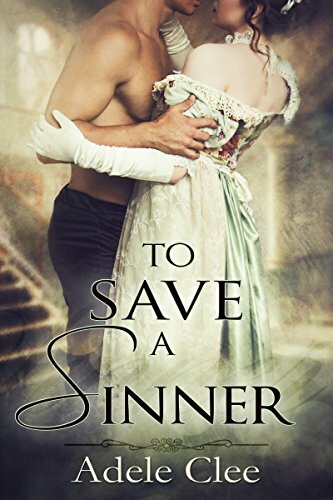 *To Save a Sinner by Adele Clee. Price: Free. Genre: Steamy Regency Historical Romance of the Day, Sponsor, Historical Romance, Regency Romance. Rated: 4.4 stars on 25 Reviews. 285 pages. ASIN: B00ZJFPF9M. Excellent Free Kindle Steamy Romance of the Day! 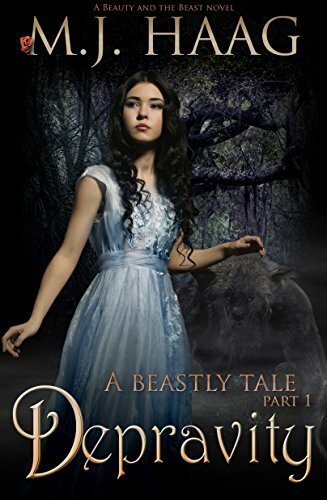 ***Depravity: A Beauty and the Beast Novel (A Beastly Tale Book 1) by M.J. Haag, Ulva Eldridge, Allisyn Ma. Price: Free. Genre: Steamy Romance of the Day, Sponsor, Fantasy, Fairy Tales, Mythology & Folk Tales. Rated: 4.3 stars on 441 Reviews. 178 pages. ASIN: B00XK5GO9I. *Revenge (Phoenix Undercover Book 3) by C.A. Harms. Price: Free. Genre: Military Steamy Romance of the Day, Organized Crime. Rated: 4.9 stars on 39 Reviews. 178 pages. ASIN: B01G3VA518. *Sweet Bear O’ Mine (Wild Harts: Rockstar Shifters Book 1) by Lily Cahill. Price: Free. Genre: Shifter Steamy Romance of the Day, Multicultural, Paranormal. Rated: 4.4 stars on 18 Reviews. 168 pages. ASIN: B01I6731N6. *Cristov by Meg Jackson. Price: Free. Genre: Contemporary Steamy Romance of the Day, Action & Adventure, Women’s Fiction. Rated: 4.5 stars on 17 Reviews. 612 pages. ASIN: B01DOE9KIG. *Forbidden Enticement by Steffy Rogers. Price: Free. Genre: Contemporary Steamy Romance of the Day. Rated: 4.5 stars on 15 Reviews. 227 pages. ASIN: B01AICDW9A. *Lost to the Night (The Brotherhood Series, Book 1) by Adele Clee. Price: Free. Genre: Gothic Steamy Romance of the Day, Historical, Regency. Rated: 4.8 stars on 12 Reviews. 232 pages. ASIN: B01645ZYZU. The Dragon’s Slave (The Amber Aerie Series Book 1) by Lacey St. Sin. Price: Free. Genre: Shifters Steamy Romance, Fantasy, Paranormal. Rated: 4.7 stars on 6 Reviews. 218 pages. ASIN: B01F2EX75S. Unconditional Love (Love Series Book Book 4) by Melanie Brandon. Price: Free. Genre: Contemporary Steamy Romance, Romantic Comedy. Rated: 4.3 stars on 6 Reviews. 660 pages. ASIN: B01F5186VI. **Semi-Human (Harper Hall Investigations Book 2) by Isabel Jordan. Price: Free. Genre: Paranormal Steamy Romance of the Day, Vampires, Fantasy. Rated: 4.9 stars on 70 Reviews. 223 pages. ASIN: B016DR8PO6. **Dark Savior by Stella Noir. Price: Free. Genre: Contemporary Steamy Romance of the Day, Military, New Adult & College. Rated: 4.7 stars on 48 Reviews. 303 pages. ASIN: B01KSNDGJ0. *Burn This! (A 300 Moons Book) by Tasha Black. Price: Free. Genre: Shifters Steamy Romance of the Day, Paranormal, USA Today Bestselling Author. Rated: 4.9 stars on 36 Reviews. 200 pages. ASIN: B01B1W98YY. USA Today Bestselling Author Tasha Black. *Release Me (Callahan Series Book 3) by AC Marchman. Price: Free. Genre: Steamy Romance Anthologies, New Adult & College. Rated: 4.5 stars on 31 Reviews. 162 pages. ASIN: B00HGVU60K. Alien Dragon’s Baby (Red Planet Dragons of Tajss) by Miranda Martin. Price: Free. Genre: Multicultural Steamy Romance, Romantic Comedy, Science Fiction. Rated: 4.4 stars on 27 Reviews. 150 pages. ASIN: B01J6WA1T2. ***Rush by Daphne Loveling. Price: Free. Sports Steamy Romance, Contemporary, Women’s Fiction. Rated: 4.6 stars on 98 Reviews. 278 pages. ASIN: B01IL87U6E. ***Desert Moon (The Wolves of Twin Moon Ranch Book 1) by Anna Lowe. Price: Free. Genre: Paranormal Steamy Romance, Western, Werewolves & Shifters. Rated: 4.7 stars on 97 Reviews. 136 pages. ASIN: B00TEEHDPS. **Prince Lucien by Serena Rose. Price: Free. Genre: Fantasy Steamy Romance, Multicultural, Paranormal. Rated: 4.3 stars on 83 Reviews. 203 pages. ASIN: B01GBMRQH0. *Damon by Meg Jackson. Price: Free. Genre: Contemporary Steamy Romance, Military, Romantic Comedy. Rated: 4.9 stars on 13 Reviews. 605 pages. ASIN: B01H7KLSEM. *In the Arms of a Pirate (A Sam Steele Romance Book 2) by Michelle Beattie. Price: Free. Genre: Historical Steamy Romance, Family Saga, Historical. Rated: 4.4 stars on 12 Reviews. 394 pages. ASIN: B01DCU75A2. Award Winning Author Michelle Beattie. The Billionaire’s Pregnant Bride by Kimmy Love. Price: Free. Genre: Military Steamy Romance, Multicultural, Romantic Comedy, Sports. Rated: 4 stars on 31 Reviews. 166 pages. ASIN: B01GD9GF78. Protector Book 2 by Autumn Gunn. Price: Free. Genre: Military Steamy Romance, Romantic Suspense. Rated: 4.8 stars on 4 Reviews. 186 pages. ASIN: B013BNWCEO. Fantastic $5 Romantic Erotica & Steamy Contemporary Romance Deal! 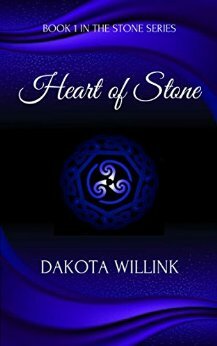 *Heart of Stone (The Stone Series Book 1) (Deal, Not Free) by Dakota Willink. Price: $4.99. 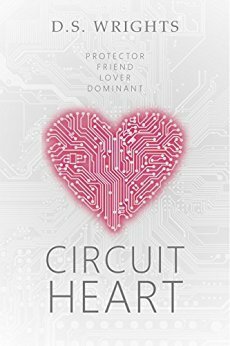 Genre: Romantic Erotica Deal of the Day, Sponsor, Steamy Contemporary Romance. Rated: 4.5 stars on 47 Reviews. 430 pages. ASIN: B019NXMK6G. ***One Dom To Love (Doms of Her Life Book 1) by Shayla Black. Price: Free. Genre: Contemporary Steamy Romance of the Day, Romantic, NY Times Bestselling Author. Rated: 4.5 stars on 241 Reviews. 231 pages. ASIN: B00AJ4JIKU. 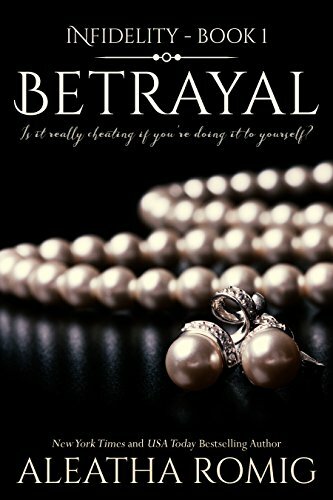 ISBN: 1936596148 NY Times Bestselling Author Shayla Black. The Last Thing (Hollywood Timelines Book 1) by Briana Gaitan. Price: Free. Genre: Contemporary Steamy Romance, Multicultural, New Adult & College. Rated: 4.2 stars on 61 Reviews. 276 pages. ASIN: B00MPXP56Y. My Marin by Veronica Maxim. Price: Free. Genre: Steamy Romance Anthologies, Military. Rated: 4.1 stars on 8 Reviews. 160 pages. ASIN: B012XY31II. More Than Physical (The Physical Series Book Book 2) by Sierra Hill. Price: Free. Genre: Contemporary Steamy Romance. Rated: 4 stars on 7 Reviews. 249 pages. ASIN: B0153ZMMSY. **Cocky Biker (Cocker Brothers of Atlanta Book 2) by Faleena Hopkins. Price: Free. Genre: Military Steamy Romance of the Day, Romantic Suspense. Rated: 4.9 stars on 47 Reviews. 334 pages. ASIN: B01ITYED3I. *A Reliant Love by Taylor Lavati. Price: Free. Genre: Contemporary Steamy Romance, New Adult & College, Literature & Fiction. Rated: 4.3 stars on 45 Reviews. 348 pages. ASIN: B00L5J9CCW. *Heaven in Hedonism (Sinful Series Book 3) by Emma Nichols. Price: Free. Genre: Steamy Romance Comedy, Contemporary. Rated: 5 stars on 14 Reviews. 186 pages. ASIN: B0102YXBHM. *Beautiful Sky (The Hunter Family Book 8) by Ashley Blake. Price: Free. Genre: Contemporary Steamy Romance, New Adult & College, Anthologies. Rated: 4.9 stars on 14 Reviews. 299 pages. ASIN: B00EMMW6EU. *Sinfully Spellbound (Spells That Bind Book 1) by Cassandra Lawson. Price: Free. Genre: Paranormal Steamy Romance, Fantasy, Vampires. Rated: 4.8 stars on 12 Reviews. 304 pages. ASIN: B019BGXH7G. 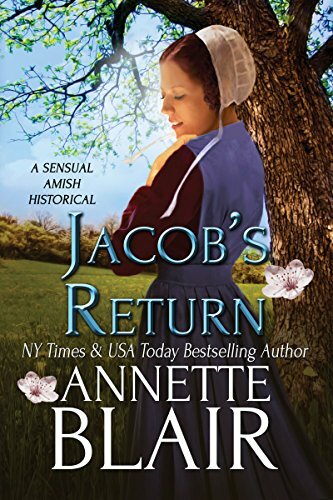 ***Jacob’s Return: A Sensual Amish Historical Romance by Annette Blair. Price: Free. Genre: Steamy Amish Historical Romance of the Day, Sponsor, NY Times Bestselling Author, Regency Historical Romance. Rated: 4.4 stars on 179 Reviews. 336 pages. ASIN: B00MNOC842. NY Times & USA Today Bestselling Author Annette Blair. ***Major’s Baby – Bad Boy Heroes Book 3 by Emerson Rose. Price: Free. Genre: Contemporary Steamy Romance, Military, Multicultural. Rated: 4.6 stars on 182 Reviews. 304 pages. ASIN: B01F225WO4. *The Viking Queen’s Men (The Af?tama Legacy Book 1) by Holley Trent. Price: Free. Genre: Fantasy Steamy Romance, Psychics, Paranormal. Rated: 4.8 stars on 16 Reviews. 233 pages. ASIN: B00P5CNK1O. The Stand Off by Z Stefani. Price: Free. Genre: Contemporary Steamy Romance. Rated: 4.2 stars on 18 Reviews. 307 pages. ASIN: B00JJYWP88. $1 Superb Steamy Fantasy Romance Deal of the Day! **Guarded (The Silverton Chronicles Book 1) (Deal, Not Free) by Carmen Fox. Price: $0.99. Genre: Steamy Fantasy Romance Deal of the Day, Sponsor, Supernatural Mystery, Paranormal & Urban Fantasy. Rated: 4.4 stars on 68 Reviews. 277 pages. ASIN: B011GWSWKK. 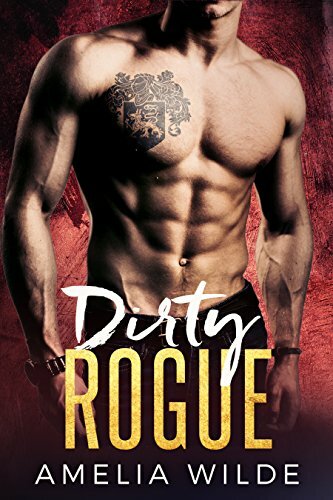 ***Dirty Rogue: A Bad Boy Billionaire Romance (Deal, Not Free) by Amelia Wilde. Price: $0.99. Genre: Steamy Romance Deal of the Day, Sponsor, Multicultural & Interracial Romance. Rated: 4.7 stars on 91 Reviews. 233 pages. ASIN: B01K2M0032. *Forbidden – Part 1 (The Townsend Twins) by Cali MacKay. Price: Free. Genre: Steamy Romance of the Day, Sponsor, NY Times Bestselling Author, Women’s Fiction, Contemporary Women, Contemporary Romance. Rated: 4.7 stars on 26 Reviews. 49 pages. ASIN: B015QW7QX0. NY Times Bestselling Author Cali MacKay. *Piper Dreams Part One (The Dreams Trilogy Book 1) by Amelie S. Duncan. Price: Free. Genre: Contemporary Steamy Romance of the Day, Women’s Fiction, New Adult & College. Rated: 4.6 stars on 25 Reviews. 214 pages. ASIN: B01A5V5SVE. *Trigger by Meg Jackson. Price: Free. Genre: Sports Steamy Romance of the Day, Military, Contemporary. Rated: 4.4 stars on 13 Reviews. 505 pages. ASIN: B0189NOKWS. Love Me or Not by ML Henry. Price: Free. Genre: Erotica, Urban. Rated: 4.5 stars on 6 Reviews. 254 pages. ASIN: B01819N896. ***Dirty Rogue: A Bad Boy Billionaire Romance (Deal, Not Free) by Amelia Wilde. Price: $0.99. Genre: Adult Romance Deal of the Day, Sponsor, Multicultural & Interracial Romance. Rated: 4.7 stars on 91 Reviews. 233 pages. ASIN: B01K2M0032. **Dirty Royal by Amelia Wilde. Price: Free. Genre: Military Steamy Romance, Multicultural, Women’s Fiction. Rated: 4.7 stars on 93 Reviews. 230 pages. ASIN: B01ILamazon.com/dp/B01GGEVQOC87KTG. **Bound & SEAL’D by Kara Hart. Price: Free. Genre: Fantasy Steamy Romance, Holidays, Sports. Rated: 4.7 stars on 89 Reviews. 173 pages. ASIN: B01KDJED1O. **Tag by Shari J. Ryan. Price: Free. Genre: Military Steamy Romance, New Adult & College. Rated: 4.4 stars on 88 Reviews. 264 pages. ASIN: B01GGEVQOC. *Beyond Alpha Boxed Set by Colleen Charles. Price: Free. Genre: Steamy Romance Anthologies, Romantic Comedy. Rated: 4.9 stars on 43 Reviews. 811 pages. ASIN: B01J986CDC. *I See…Love (A Different Road Book 1) by Annalisa Nicole. Price: Free. Genre: Contemporary Steamy Romance, Family Life. Rated: 4.7 stars on 38 Reviews. 226 pages. ASIN: B013TFTNF0. *One in a Billion by Lola Silverman. Price: Free. 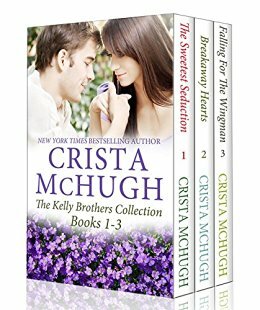 Genre: Steamy Romance Sagas Box Set, Anthologies, New Adult & College. Rated: 4.4 stars on 25 Reviews. 875 pages. ASIN: B01FGSB360. *Fear the Heart (Werelock Evolution Book 2) by Hettie Ivers. Price: Free. Genre: Gothic Steamy Romance, Romantic. Rated: 4.8 stars on 21 Reviews. 334 pages. ASIN: B01DADQDXG. The Witch’s Love Spell 1 (Warlock Romance Trilogy) by Larissa Ladd. Price: Free. Genre: Gothic Steamy Romance, Paranormal. Rated: 4.1 stars on 25 Reviews. 140 pages. ASIN: B00KUVUDU6.